Was the Great Gatsby Broke? Baz Luhrmann’s screen adaptation of The Great Gatsby has already inspired new interest in the lavish lifestyle of Jay Gatsby, the book’s mysterious millionaire protagonist. Gatsby-themed parties are popping up around the country, in somewhat misguided homage to the over-the-top shindigs Gatsby held at his West Egg mansion. These parties were all-weekend affairs, filled with luxury accoutrements: live music, gourmet meals, free-flowing liquor. Nothing, it seemed, was too expensive for Jay Gatsby. Upon rereading the book recently, I took special note of Gatsby’s spending habits. He’s described as a wealthy man, but he’s still living a very tony lifestyle for someone who made most of his money bootlegging. One over-the-top party, yes. But an over-the-top party every weekend? Even hedge-funders don’t live like that. So I pulled every nugget from The Great Gatsby related to Gatsby’s personal wealth and income, and every passage that detailed his spending, and — with the help of some experts — tried to re-create a historical ledger that might have shown the state of Jay Gatsby’s fortune, if he had been a real person and not a figment of F. Scott Fitzgerald’s imagination. It turns out that, far from accumulating vast stores of wealth, Jay Gatsby might have been spending beyond his means. First, let’s start by examining Gatsby’s incoming cash flows. We are told that Gatsby came up from essentially nothing, and that the first time he met Daisy Buchanan, he was “a penniless young man.” His fortune, we are told, was the result of a bootlegging business – he “bought up a lot of side-street drug-stores here and in Chicago” and sold illegal alcohol over the counter. In the summer of 1922, when The Great Gatsby is set, Prohibition was only two and a half years old. The Volstead Act, which officially prohibited the selling and manufacture of alcoholic drinks, was passed in late October, 1919. If we assume that Gatsby began selling liquor in Chicago several months after the Volstead Act’s passage (with a several-month lag to buy up drug stores and establish his business), that gives him roughly two years to have built up a fortune. Bootlegging was a fairly low-margin business, since so much of every dollar made was spent on bribes, lawyers, and mob protection, and Gatsby’s start-up costs would have eaten into his first-year profits. After paying his employees, legal and transportation costs, and giving a split of his proceeds to Meyer Wolfsheim, his business partner, it’s unlikely that Gatsby’s personal profits in 1920 and 1921 would have amounted to megamillions. Even the most famous bootleggers in America rarely made millions during the early years. Al Capone was said during his tax-evasion trial to have made $1 million in 1924 and 1925 combined, a time when the bootlegging business was better established. Dean O’Banion, Capone’s main rival, was said to have made $1 million annually on bootlegged liquor, but only at his peak. And George Remus, a notorious Cincinnati-based bootlegger who was dubbed “King of the Bootleggers” in a 2008 biography by William A. Cook, only began making serious money after 1921 (his total net worth was estimated at $6 million by 1925), when he entered into a “gentleman’s agreement” with law enforcement officials that allowed him to avoid prosecution. Since Gatsby was an upstart who would have competed with the likes of these titans, it seems unlikely he had earned more than a total of $1 million from liquor sales by the time the summer of 1922 rolled around. It is also hinted at one point, by a jealous Tom Buchanan, that Gatsby may have had another illegal side venture, perhaps in the bond business, though we know scant few details about it. Since bootlegging was his main business and the primary source of his notoriety, let’s guess and say that the side venture, whatever it was, brought in another $100,000 annually between 1920 and the halfway point of 1922. So between the start of Prohibition and the summer of 1922, Jay Gatsby may have personally netted somewhere in the neighborhood of $1.25 million. Let’s assume he kept all his money in cash, both because illegal earnings would have been kept out of official channels, and because I don’t want to speculate on what was in his investment portfolio. How did Gatsby spend his money? One of the biggest expenses in Gatsby’s life would have been his twelve-bedroom mansion in West Egg. We are told that the house had “Marie Antoinette music-rooms and Restoration salons,” in addition to “period bedrooms, dressing-rooms, poolrooms and bathrooms.” (It also had a “Toilet set of pure dull gold.”) Gatsby says it took him “three years” to earn the money to buy the mansion, which means he likely bought it in early 1922, just before the events of the book took place. We don’t know how much Gatsby paid for the house, but we do have a real-life data point from which to approximate. In 2010, the house thought to have inspired Gatsby’s West Egg manse — the Kings Point Estate in Long Island — was listed for $29.5 million. According to the Bureau of Labor Statistics’ official CPI inflation calculator, that’s about $2.7 million in 1920 dollars. Let’s assume that Gatsby was a good haggler and got the price down to around $2 million. That was a lot of money in 1922, but it wasn’t outrageous by the standards of the time: Here’s a mansion in Westchester that was built in 1919 for $2 million. We are not told about the terms of Gatsby’s mortgage, if he had one. But Kenneth A. Snowden, a professor of economic history at the University of North Carolina at Greensboro, writes that in the twenties, “loans were typically written for no more than 50 percent of property value” and “were restricted to maturities of 3 to 5 years.” Let’s assume that Gatsby scraped together all his money to put a 50 percent down payment on his mansion, and got a four-year loan at 5 percent interest for the rest. Assuming no property taxes or private mortgage insurance, his monthly payment would have been about $23,000 a month. Miscellaneous oranges/lemons/flowers/décor/lighting costs: approximately $30,000. Not all of Gatsby’s parties would have been attended by 300 people, and perhaps he got some volume discounts for being a repeat customer of his catering company. So, conservatively, let’s say these parties cost $150,000 apiece, in 2013 dollars. That’s about $11,000 in 1922 dollars. 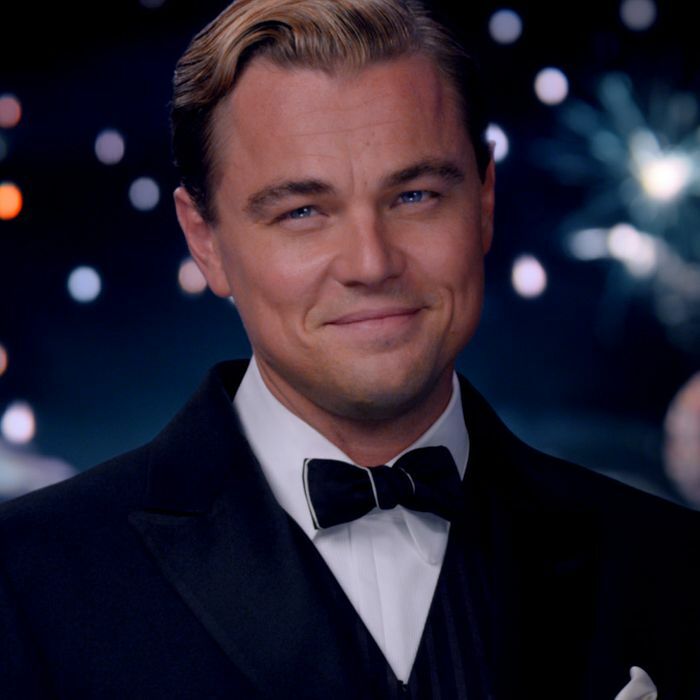 Over the course of a summer, then, Gatsby’s fifteen parties would have cost roughly $165,000. Of course, it wasn’t just the house and the parties. Gatsby, we are told, also had a customized Rolls-Royce, two motor-boats, and various other expenses related to his business. We can’t possibly know everything Gatsby would have owned, or what it would have cost him, but we can use historical evidence to come up with some rough estimates. The car is the easiest to figure out. Gatsby’s car was a 1922 Rolls-Royce, which would likely have been a Silver Ghost model (though Fitzgerald doesn’t specify). Rolls-Royce had just started selling versions of its cars in the U.S. in 1922, and the first American models ranged in price from $12,000 to $15,000, according to auto-history.tv. Let’s assume that Gatsby’s yellow Rolls, which was big enough to serve as an “omnibus” on the weekends, would have been top-of-the-line at $15,000. The boats are similarly easy to price. An ad in the April 1922 issue of Motor Boat magazine listed boats from Chris Smith Craft, one of the prominent boat-makers of the day, for prices ranging from $2,200 to $7,500. Let’s roughly split the difference, and say that each of Gatsby’s two boats cost him $5,000, for a total of $10,000. We are also told that Gatsby owned “two hulking patent cabinets which held his massed suits and dressing-gowns and ties, and his shirts, piled like bricks in stacks a dozen high.” Clothing like Gatsby’s, which was shipped from England, would have been considerably more expensive than domestic fibers. In the 1922 book How to Sell at Retail, the author writes that a man of the era who wanted a good suit might have offered to pay about $50 for it. This 1921 J.C. Penney ad shows discount men’s dress shirts selling for 98 cents apiece, but Gatsby’s imported English shirts would surely have cost much more — say, $5 each. With “stacks a dozen high” of these shirts, as well as a cabinet full of suits and other menswear, it’s not unreasonable to estimate than in each of 1920 and 1921, Gatsby might have spent roughly $1,000 on clothing, for a total of $2,000. Gatsby’s various other expenditures are harder to account for. He has no children, no spouse, and no second home that we know of. We know that he must have needed fine furniture to put in the twelve rooms of his mansion, a staff to maintain the place, and some services related to his business (including the long-distance calls he is shown making to Chicago). Conservatively, let’s allot $10,000 a year to this miscellany, for a two-and-a-half-year total of $25,000. Gatsby’s “incidental” expenses, then, would have added up to $52,000. After tallying up Gatsby’s income and expenditures from the beginning of 1920 until the summer of 1922, here is a (very) rough accounting of where his finances might have stood during the events of the book. Now, clearly, these figures are imperfect. But even with some room for error, it’s clear that Gatsby was far from replete with cash. At the time when The Great Gatsby took place, Jay Gatsby was probably either living paycheck-to-paycheck or digging himself into debt. I ran Gatsby’s estimated cash flows by Rocco A. Carriero, a Southampton-based private wealth advisor. Carriero said that he would never take Gatsby on as a real-life client, given the illegality of his bootlegging business. But after looking at my estimates, he agreed with me that there’s no way a person earning as much as Gatsby did should be spending with such abandon. Now, granted, Gatsby is a fictional character, not a financial-planning role model. And moreover, Gatsby’s entire persona is constructed as a send-up of the tasteless nouveau riche of the twenties — a fraud who came by his money dishonestly and is spending it with no regard for the future. Viewed through that lens, it makes sense that Fitzgerald’s Gatsby would be living a lifestyle that outstripped his financial means. I also spoke with Joshua Zeitz, a historian and author of Flapper, a book about the social world of the twenties. Zeitz pointed out that F. Scott Fitzgerald himself was a free spender who was often in debt despite his popular success. And Zeitz said that in the Roaring Twenties, a new wave of wealth and the popularization of consumer credit had changed Americans’ attitudes toward savings in a way that Fitzgerald would have recognized. “For the first time ever, Americans were becoming comfortable with living on credit, and living slightly beyond their means,” Zeitz said. The financial imprudence of Fitzgerald’s own life, Zeitz said, may have been reflected in Jay Gatsby’s excessive spending. Bootleggers, especially, were notorious for churning through cash. (“They were spending it as fast as it came in,” Zeitz said.) And furthermore, the short-sightedness of Gatsby’s spending patterns would have reflected the ethos of the time — in which the pursuit of material and aesthetic pleasure was seen as a good thing, no matter the cost. Gatsby’s profligacy, then, is part of what makes him an enduring literary figure. Far from being rich beyond all measure, he may have been putting himself at risk by outspending his means. Perhaps The Great Gatsby, in addition to being a parable of a gilded age, is also meant to be an example of what happens when a man loses control of his checkbook.